Saturday morning: Farmers market. Sunny, light breeze. My wife insists on beets. My children get churros from a Mexican bakery stand. Cucumbers, squash, greens, mixed sprouts, red onions, baby potatoes, the early harvest of summer. Oh, and sauerkraut. Jeff Ziebelman called me over and suggested I try a bit of their “Zauerkraut”, delicious. Red cabbage with the green cabbage, bit of carrots, fennel seed, let it ferment. You get this. 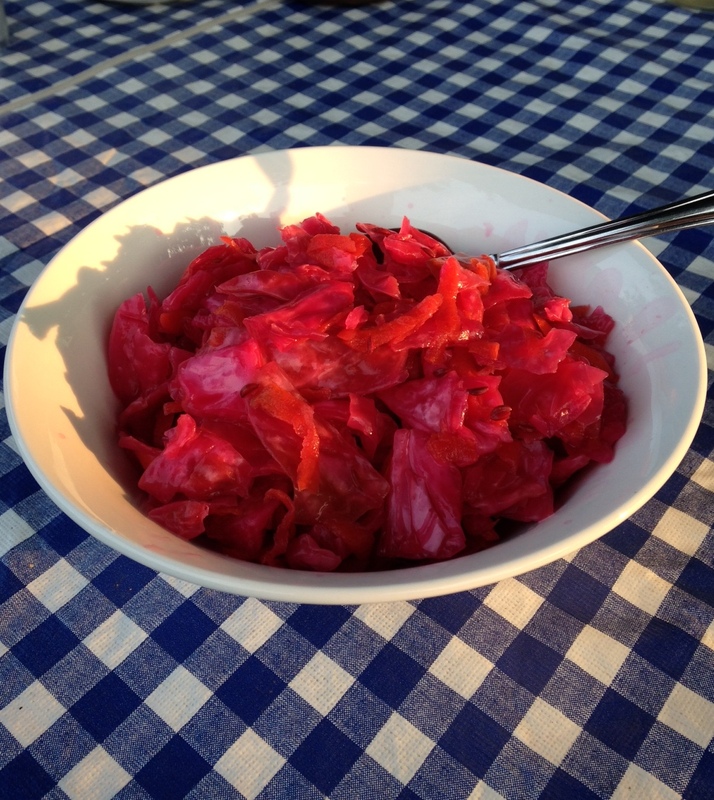 The cabbage retains a nice crunch and has developed a pleasant tang. Not over-salted, not over processed. So naturally the next thought – pairing. 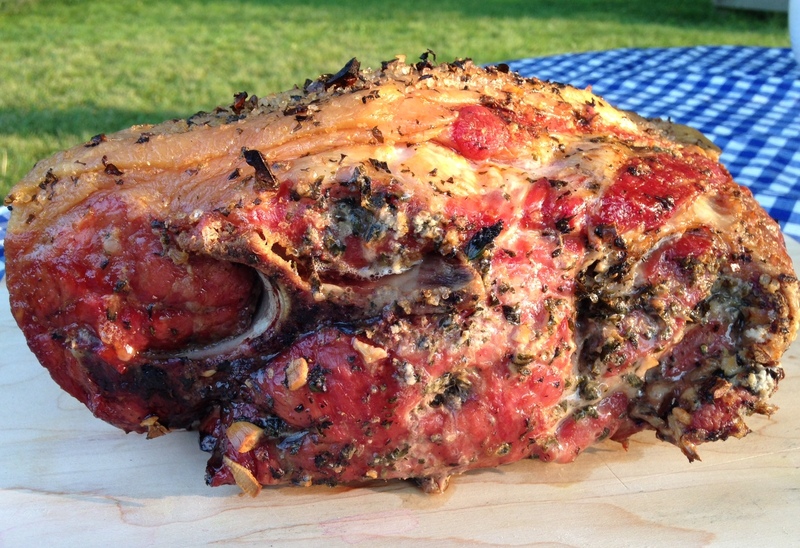 Roasted pork, with garlic and oregano, on the grill with apple wood chips. Low and slow, 3 hours. You get this. Rich, sweet smoke flavors. Need a few sides. Throw beets on the grill, wrapped in foil. Slice the beet greens in half inch strips, toss with mixed sprouts. 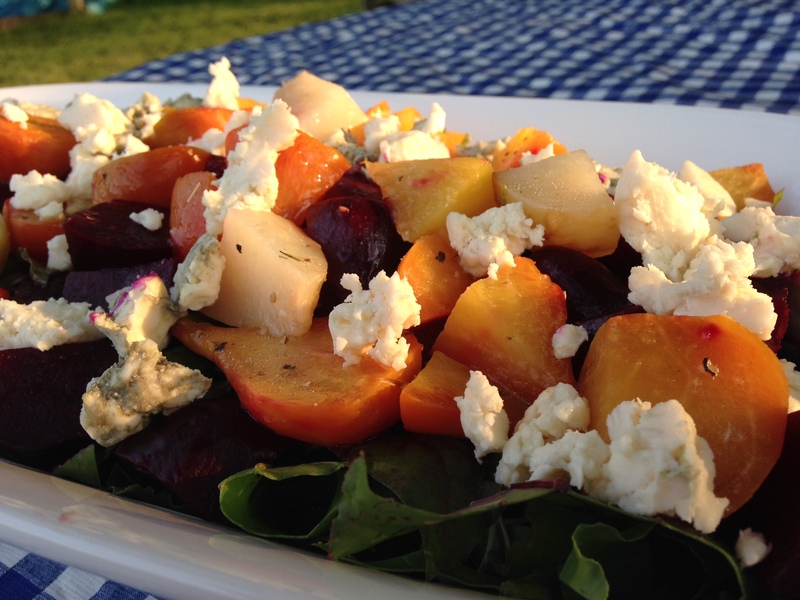 After the beets have cooled, cut to bite-sized pieces, toss them on the greens and top with blue cheese. You get this. The baby potatoes. Let’s boil them until just tender, not mushy. Dress them with white wine, honey mustard, mayo, apple cider vinegar. My sister gave me some green onions from her garden. Perfect. Dice and toss it all together. You get this. Two cups vinegar, one cup sugar, 2 tablespoons pickling spices from Penzey’s. Boil, then chill. 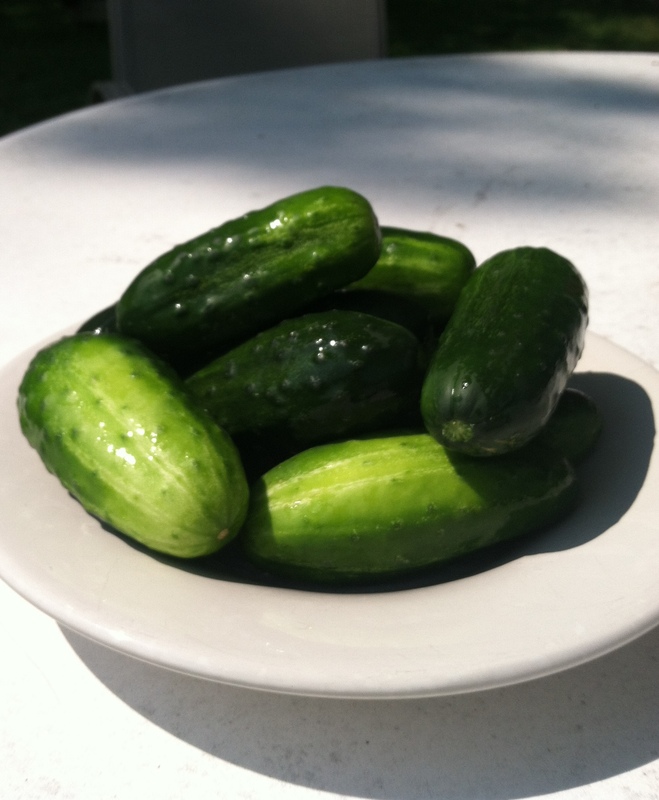 Slice the cukes thin, toss into the brine, wait a few hours. You get this. Put it all together. Summer bliss. 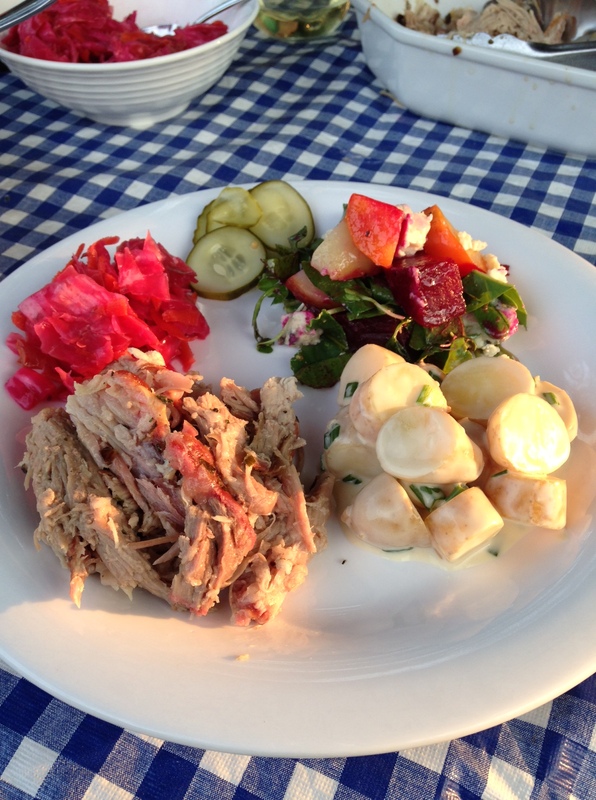 Great Lakes Cuisine plays with seasonality in many ways. Feature the fruits of the season. 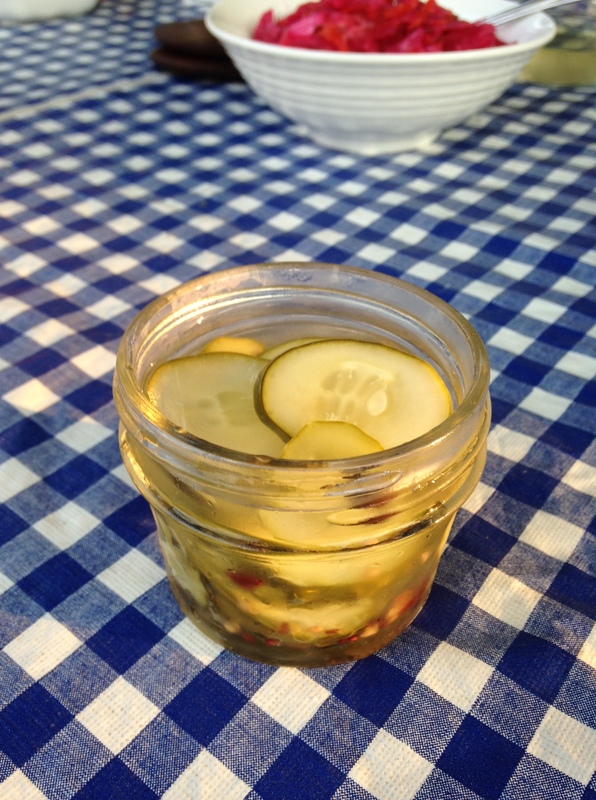 Preserve the bounty for out-of-season, fermentation, salting, vinegar, canning. 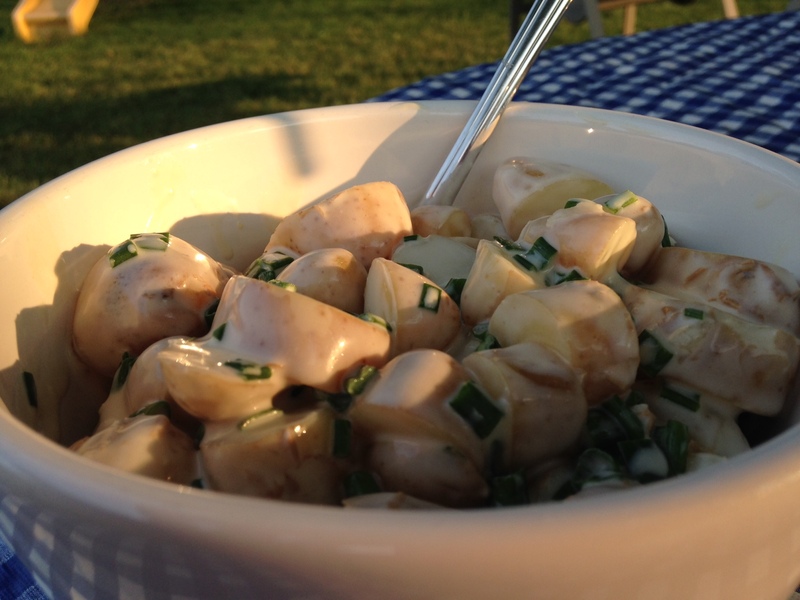 But try take a moment to enjoy the perfect evenings, the flavors, the conversations shared with family and friends. The experience, over time, becomes culture. Enjoy.